Drive relevant traffic to your website based upon your products and services. Put your website at the top of Google today and benefit from additional highly relevant and qualified leads. Use the power of Adwords to attract customers who are ready to buy or order your product online today. See how our A/B testing can increase the amount of sales on your website and use our video analytics tools to improve your sites conversion rates. Fine tune your adwords campaign to deliver the best possible results for your budget and give you a higher return on your advertising investment. Increase the average return you are getting from your Adwords spend and keep more profit in your pocket. A Google Adwords PPC campaign enables you to get instant traffic to your website from people who are actively searching for your product or service. If you need customers now then you need Google Adwords, we can cater for any budget large or small and in English and/or Thai languages. A well setup campaign can quickly show a return on investment and become a long term part of your marketing strategy. We will setup your account and manage it on a monthly basis with clear and understandable communication. What Do I Get With AdWords Setup? Comprehensive keyword research to find the most popular search terms in your industry and setup campaigns based on your target locations and ad schedules. A professional copywriter will create your ads using Google Best Practices and proven methods which lead to a high click through rate to your website, high quality scores and low cost per click. Expert account setup to ensure the correct location and device targeting and the best bidding strategy for your campaigns. What Do I Get With Adwords Management? Monthly account management with split testing and experiments to ensure that your ads are always performing as well as possible. Every month the account search terms are checked to see if any new keywords should be added or any additional keywords should be eliminated. We also review your bidding strategy every month to make sure that you are getting the best possible return on investment. What Do I Get With An Adwords Healthcheck? If you already have an Adwords account and you’re managing it yourself then we can audit your account to make sure that it is running as efficiently as possible. We can either do this as a one time service or on a quarterly basis. Adwords Health Checks start from just $99. How much does Adwords management cost? PDS Consulting offers a variety of pricing models for different sizes and types of AdWords campaigns. Either an hourly rate, or a fixed rate management plan. Unlike other Adwords agencies, we don’t charge you a percentage of your monthly spend as a management fee as our main objective is to work with you to get the best ROI from your campaigns, which means you spending less on Adwords not more! 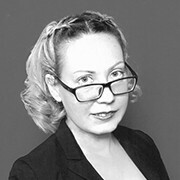 Since Gemma took control of our Adwords management we have seen an increase in enquiries and a decrease in our Adwords costs. Not only has the cost benefit been very obvious but the quality of enquiries has got better and better.